Within a two-hour drive of Seattle, you can hike to secret beaches, "camp" in a shipping container, play flashlight tag in a 100-year-old fort, walk an alpine ridge that's ablaze in the fall, whoosh down a 35-foot-high slide, shoot a pumpkin cannon, ride on a mini steam train, swim in a quarry, see real dino fossils, sled in a national park and watch salmon migrate in the heart of the city. And you might make it home by naptime. Organized by season, "52 Seattle Adventures With Kids" is a local's guide to the most affordable & awesome family outings around the Puget Sound region and beyond, highlighting a new outdoor or indoor adventure for every week of the year. It's written by parents, for parents, and is packed with insider tips on saving, snacktime stops and staycation know-how. 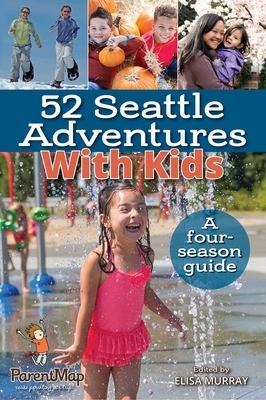 52 Seattle Adventures With Kids was created by the writers and editors of the Puget Sound region's most beloved parenting resource, ParentMap.